When planning a trip onboard the Royal Caribbean Grandeur of the Seas it is nice to have an idea of what the cabins are like. This can make it easier to book a room that will suit your own personal needs, and it eliminates any surprises once you arrive on the ship. All of the staterooms on the Royal Caribbean Grandeur of the Seas are designed with wider entry doors, as well as wider bathroom doors. Standard bathrooms are equipped with a shower, hand held shower attachment, and shower bench. The exceptions would be the suites, which have larger facilities. Standard cabins range from 140 square feet to 262, depending on category and location. Junior suites are 347 square feet, while the Royal Family Suites are a spacious 532 square feet. Standard balconies range from 36 to 39 square feet. Balconies that come with suites start at 74 square feet in the Junior Suites, and they go up to 107 square feet with the Owners Suite. Standard staterooms and Junior Suites come with two twin size beds that can be converted into one queen size bed. Some of the Ocean view staterooms have additional bunk beds. The bed area can be closed off from the small sitting area with a curtain. Royal suites come with a king size bed and an additional queen size sofa bed. The owners suite has one regular queen bed and a queen sized sofa bed. 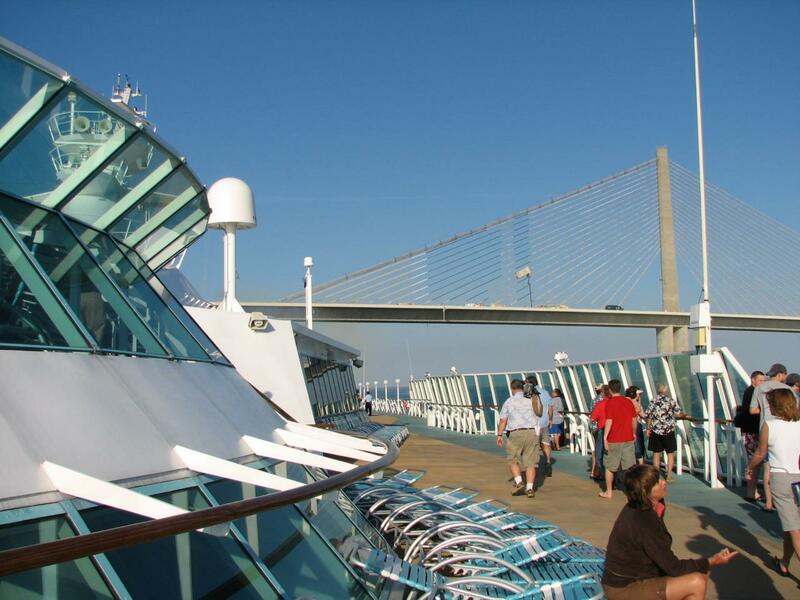 Deck 2 has cabins on the level above them. This makes rooms on this deck quieter than ones under public areas. Rooms 2116-2138 and 2616-1638 are at the rear of the ship, and they may pick up vibrations from the propellers. Cabins 2035 and 2115 are in the middle of row interior cabins. These are less desirable than other options on this deck but can be cheaper. Cabins 2103-2107 are roomier and wheel chair accessible. 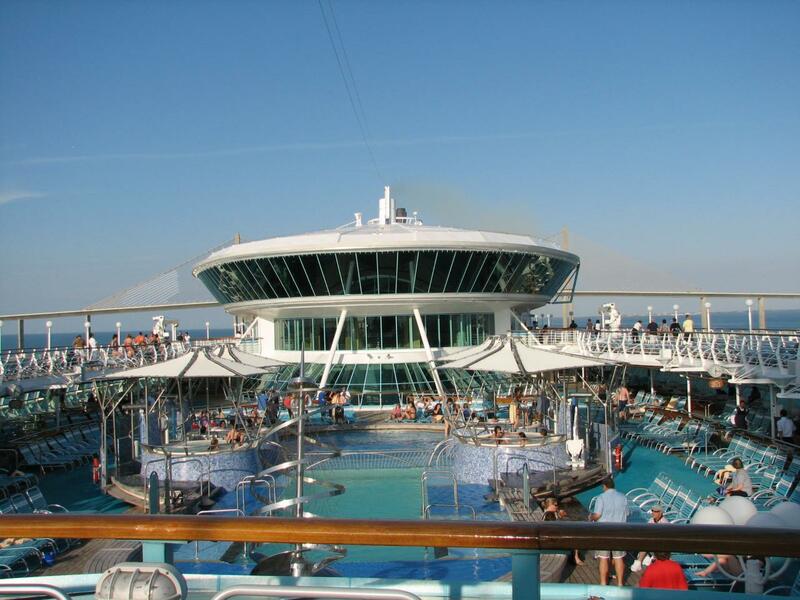 Rooms 2508-2528 starboard and 2008-2028 portside are Ocean View rooms that are larger than most. 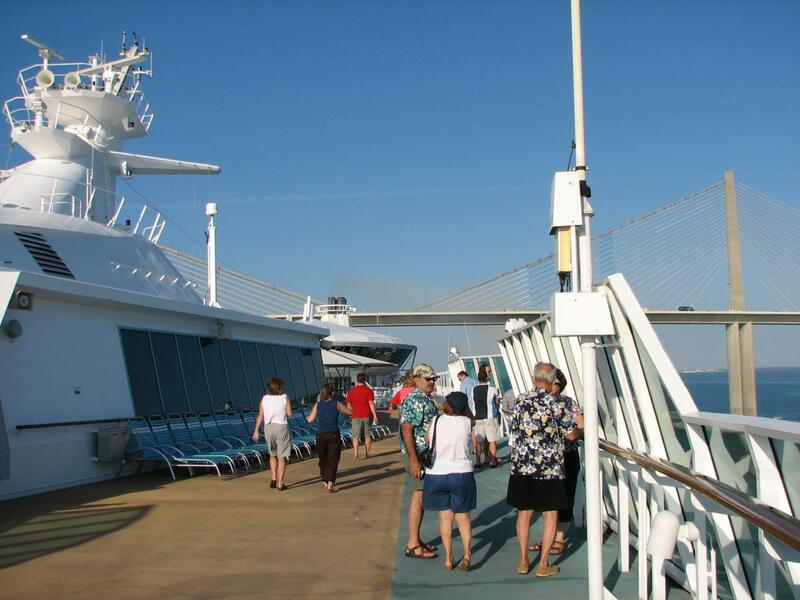 Basic staterooms with no balconies are located on Deck 3. Rooms from mid-ship forward are under other cabins and will be quieter. Rooms at the rear are under dining areas. These cabins may pick up noise from the staff preparing for meals or cleaning up afterwards, as well as during meal times. Rooms 3128-3158 and 3628-3659 may receive noise from the dining room. Cabins immediately under the dining area are 3651, 3653, 3655, 3657, and 3659. Guests are generally finished dining by 10:30 pm, but noise from the cleanup crew may continue until 11:30. Breakfast noise can begin as early as 6:30 am. Rooms 3000-3004 and 3500-3504 are larger than average and quieter, making them a good value. Ocean View staterooms 3602 and 3606 and interior rooms 3103 and 3107 are larger than most in this category and are wheel chair accessible. Cabins 3035 and 3535 are next to elevators and may pick up noise from the foot traffic. Cabins 3745-3765 and 3903-3915 are less desirable and may be cheaper because they are wedged between other cabins. Deck 4 is located directly beneath the main public areas of the ship. 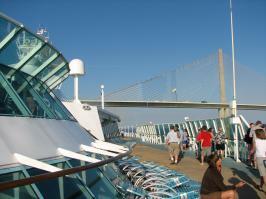 Previous cruisers have reported that these cabins have the worst noise levels. Staterooms 4000-4035 and 4500-4535 are under the theater and may hear noise from the prep, performances, and clean up. Rooms 4035 and 4535 are next to elevators and may have extra noise due to foot traffic. All other cabins on this deck are under the casino and wedged between other rooms. Deck 7 is above the main public areas of the ship. All rooms on this deck come with balconies. Spacious rooms located above the lounge are 7126-7156 and 7626-7656. The staterooms 7145-7155 and 7641-7647 may pick up the most noise from the lounge. Cabins 7014-7032 and 7514-7532 are above the theater and may hear noise from prep, performances, and clean up. The quieter rooms are 7034-7124 port side and 7524-7624 starboard. Cabins with larger balconies are 7102, 7106, 7602, and 7606 and are all wheel chair accessible and offer more inside space. Interior cabins are less cramped on this deck. Junior Suites 7150-7650 are more luxurious and offer more space than other rooms on this level. Spacious with large aft facing balconies; they have the best ocean views. Balconies here are less breezy. 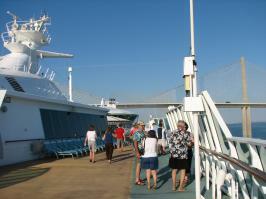 Deck 8 is where the higher end staterooms are located. 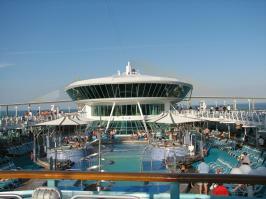 They are the best cabins onboard the Royal Caribbean Grandeur of the Seas. Owners Suites, Royal Suites, and Grand Suites are all found on this level. Rooms 8018-8066 and 8518-8566 are under the pool. There may be late night noise from the cleaning crew as they drag the lounge chairs around. Rooms 8040-8540 are larger Junior Suites with large balconies and are wheel chair accessible. The Royal Family Suites 8084-8584 are spacious, have huge balconies with spectacular views, and sell out quicker than other staterooms. Junior Suites 8086, 8088, 8588, and 8586 are coveted aft facing cabins and have larger balconies.